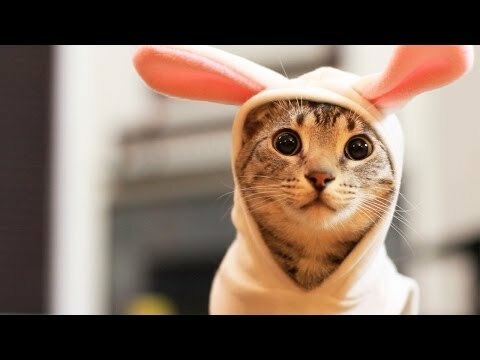 There are 11 cat videos tagged with rabbit. 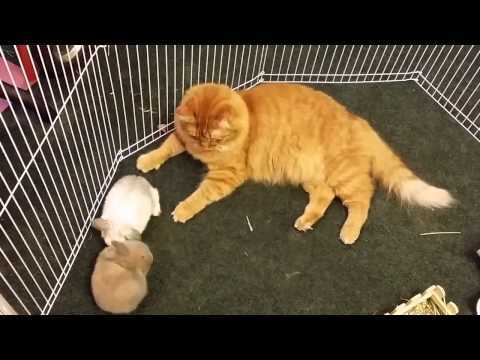 This adorable little bicolor tabby kitten tries to help its bunny friend out by cleaning it. It doesn't seem to be doing a very good job, however and gets easily distracted by the rabbit's big ears. There's no way that there is any video out there cuter than this. A group of baby rabbits and kittens are playing with each other and the kittens pounce around like they are bunnies too. Mango is an adorably caring fluffy orange cat. 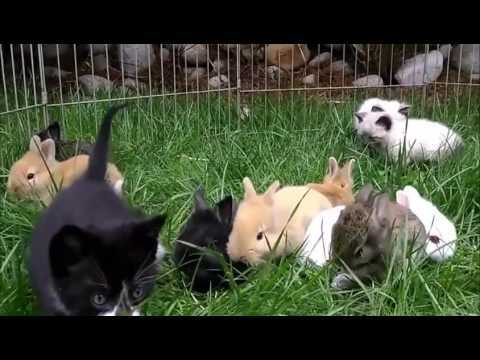 He mistakenly jumped into a pen full of rabbits instead what he thought were kittens! He was so sweet when he groomed them. Bought some bunnies, and we decided to bring one into the house and show the cats and this is what happened, i understand there are some comments calling us inhumane and such, but we are a hobby farm, our cats wouldn't hurt a soul and the rabbit did live till 2016. 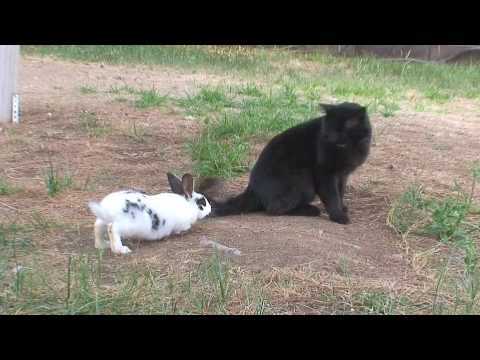 Pooey the rabbit chases his buddy, Blacko the cat. The internet has seen a lot of odd animal best friends and this adorable pair is just an example of that. 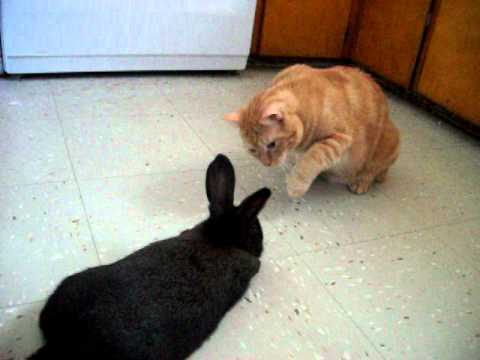 With the cat in lead, this cute little rabbit flops behind him and follows his every move. 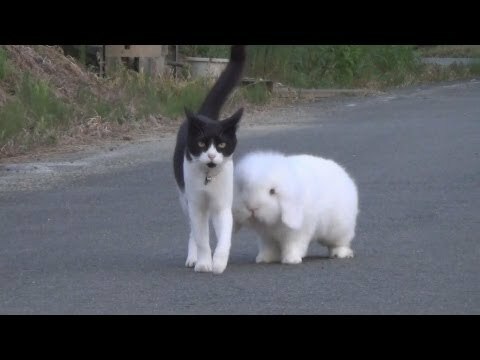 Though the cat doesn’t really seem to care about the rabbit trailing behind him, as soon as that bunny is carried off the cat is sure to follow. Though, this cat still doesn’t like it too much when the rabbit gets a little too affectionate.